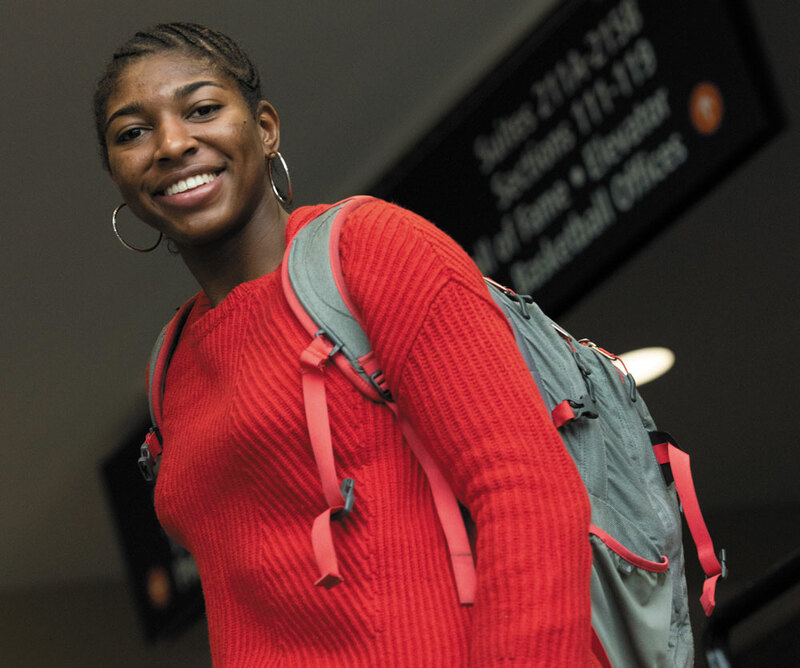 As the spring semester opened in January, Virginia Magazine asked second-year women’s basketball player Jocelyn Willoughby (Col ’20) to take readers through her first day of classes. Here’s a look. Lift at 8:00. Have to be there at least 20 minutes early to foam roll and stretch. OK, that puts us at 7:40. That means 7:00 treatment. Individual skills session directly after lift, at 9:00. That’ll be done by 10:00 at the latest. Shower and change by 10:30. Class at 12:00. Have to grab food before class … and maybe I’ll have time to stop at the bookstore. OK, after class. Practice at 3:00. Treatment at 2:00. Foam roll and stretch by 2:40 at the latest. Practice is scheduled to go until 6:00. Hopefully we’ll be done by 5:30 (fingers crossed), then showered and changed by 6:00. Have a meeting at 8:00. What do I need to do before then? Grab ice, go get dinner, plan out assignments for the week and start homework. Tonight I have to finish homework, pack books and pick out tomorrow’s outfit. Maybe I’ll call home while I do this? Watch the scout film. Get ready for bed. Goal is to be in bed by 11:00. Set alarm for 7:00 to grab breakfast and get started with my day. That’s a rundown of a more or less average day as a student-athlete and a sneak peek into my brain. There’s a lot of preoccupation with times—constantly thinking about when you have to be where, when you have time to do what, etc. Things move quickly, and days blend together. 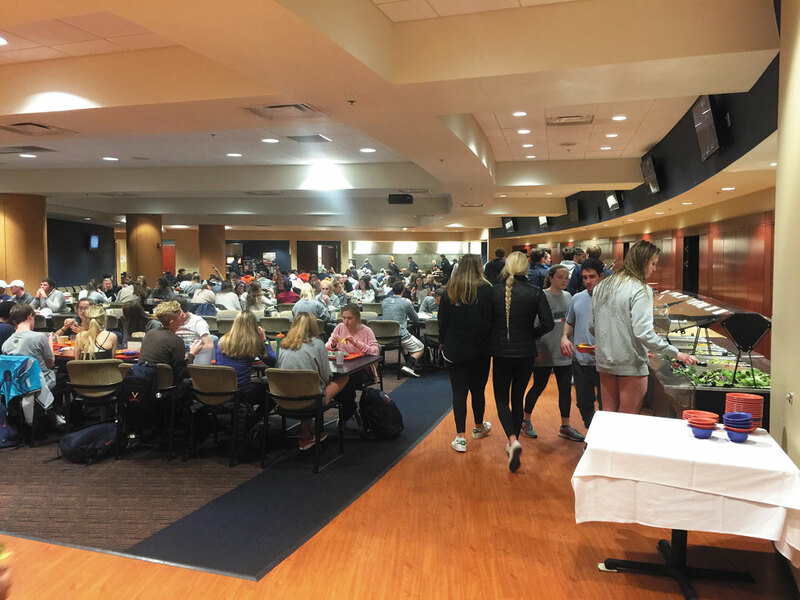 But let me walk you through some of my favorite parts of being a student-athlete, some of my favorite moments from the day, and some of the things that make the student-athlete experience unique. Today I scheduled an individual workout with a few of the coaches. There’s been a lot of talk about respecting and protecting the time of the student-athletes and holding coaching staffs accountable for this. A good portion of this conversation revolves around “optional” activities—things that aren’t necessarily accounted for in team schedules, but that players are expected to do. In essence, activities that are voluntary but also mandatory, and that, like anything else, account for time in our days. For my part in this conversation, I’d say there is definitely an expectation for us players to get in the gym and get extra shots up. But this expectation isn’t always coming from coaches. I think sometimes it comes from within the individual, from within the team, and is based on the culture we’ve created for ourselves. It’s based on an understanding that if you’re putting in work and getting better as an individual, then the team and program get better as a whole. Any successful program and/or athlete will stress how crucial extra time in the gym is. You simply cannot just rely on practice to give you the reps you need to stay sharp and consistent with your current skill set, and definitely not to grow and develop that skill set. And let me tell you, there’s almost no better feeling than seeing your work pay dividends. I cherish the extra time in the gym. It’s where I go to think, to dream and work on my craft. 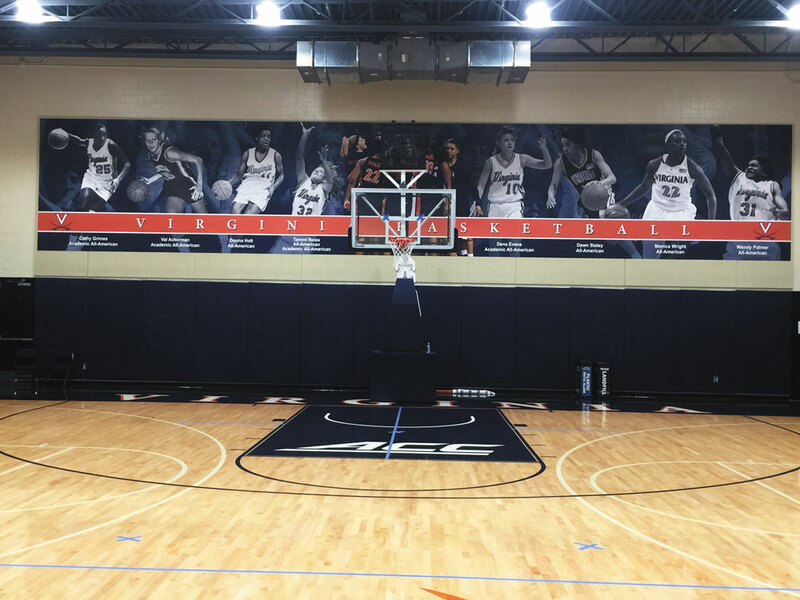 I love looking at the mural of All-Americans behind the basket. That’s my dream board. While I relish the extra time in the gym, it always helps to have people who make you want to get in the gym even more—people who make it fun, even when it’s frustrating or exhausting. The coaches on our staff are those people. Each day I come into the gym, I can’t help but think how fortunate I am to play for them and learn from them. Today was the first day of classes. First days are always exciting and a little daunting when you realize you’re going back to juggling school, basketball and life in general. 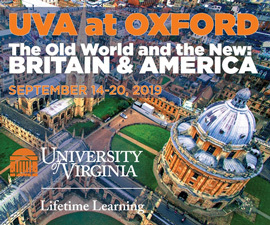 But it’s a time to make new friends, engage with new material, meet new professors and more. While it’s common for me to wear sweats on any given day, I dress up on first days of school. For one, I believe you’re never too old for first-day-of-school pictures. But more importantly, when I go into my classes, I don’t want the first impression to be that I’m an athlete. I know some of the expectations that are associated with athletes, and I’m very conscious of changing those perceptions. I want my first impression to be as a student, and sooner or later, the cat will be out of the bag that I’m an athlete as well. I’m looking forward to courses that force me to consider new concepts and ways of thinking. One of my professors today said something I thought was pretty remarkable: He was acknowledging the fact that it’s a reading-intensive class and that he expects us to have fruitful discussions. Then he encouraged us, saying that while we should not be intimidated to participate, we should also not be vying to make the best comment. 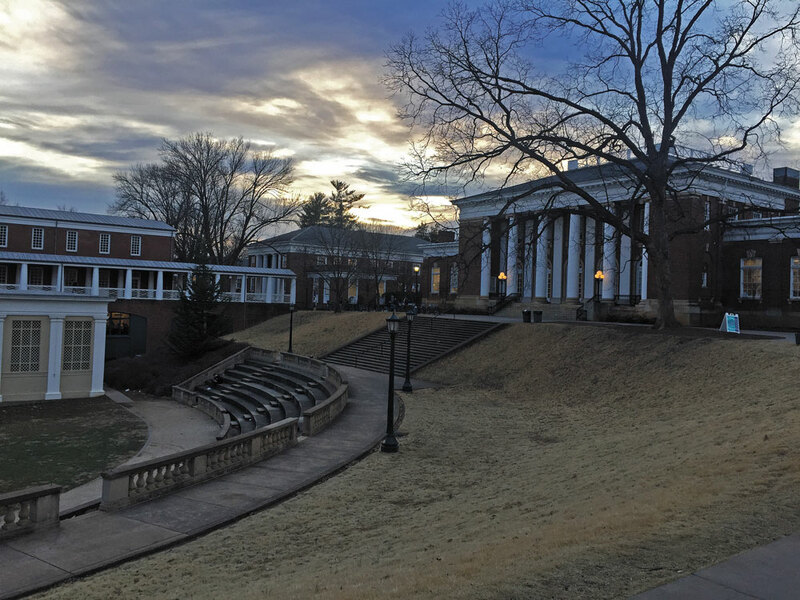 There’s a culture of competition at UVA, and to combat this, the professor told us that learning is not a competition. It is, or should be, a collaborative effort. Because, after all, knowledge is not a scarce resource. That was reassuring to hear. While I think I’ll enjoy the content of my classes, I’m not too fond of how my schedule turned out. I have one class on Monday, Wednesday and Friday and three on Tuesday/Thursday, from 9:30 to 2:00, straight through. I think people don’t appreciate how challenging class scheduling can be for student-athletes. When you have to be done with classes by 2:00 virtually every day in order to block off time for practice, and then have to factor travel and competition days into your schedule, your course options are limited. And of course it doesn’t help when several of the classes that you need or want to take coincide with one another. Next time you wonder why so many athletes end up in the same classes, there’s your reason why. I met with our nutritionist today and had BOD POD testing, which measures body composition and fat-to-muscle breakdown. We do the testing every six weeks to keep track of how our bodies are progressing and changing over the course of the season. It’s a pretty drastic change. We’re so fortunate to have great resources like sports nutrition at our disposal. After the test we talked about how I’d been feeling physically and how I’d been fueling my body. I’m pretty intentional about the foods and fluids I put in my body; the problem for me is when I can eat. On days like tomorrow, when I get out of lift at 9:00 and have to rush to my 9:30 class, and then have class until 2:00, it’s hard to get a meal in during the day. 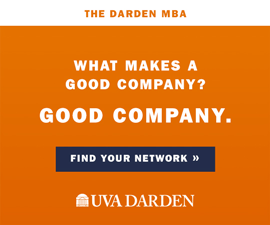 I do always look forward to having dinner with my teammates in JPJ, however. It’s ultra-convenient to go upstairs after practice and get a nice balanced meal. And meals are always better when shared with friends and family. In our hectic schedules, it’s so important to find other things to get involved in that allow you to decompress. I enjoy mentoring and am a peer adviser for the Office of African-American Affairs and am a student-athlete mentor within the Athletics Department. This gives me an opportunity to meet people and make connections outside of my sport and beyond the athletics bubble. 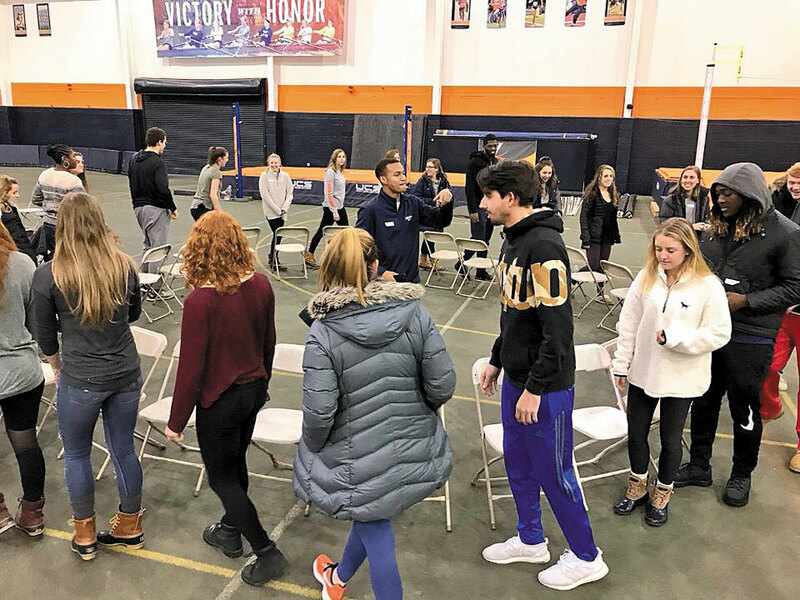 This evening we had a Spring Kick-Off Event for student-athlete mentors where mentors like myself met with our first-year mentees and had a fun game night that included a round of musical chairs. It’s funny to watch a group of athletes play games, because our competitive spirits definitely come out. There were a few broken chairs by the time a winner emerged. After going all day, this was a nice way to begin to unwind before having to start the grind all over the next day. Jocelyn Willoughby is a second-year student in the College. She’s from East Orange, New Jersey. Jocelyn, you make me proud. As a double Hoo, I have always loved my school and have followed its sports and athletes for decades. You are exactly the epitome of the Wahoo student-athlete; a term that has lost a lot of its original meaning, relative to the “student” part. Keep chasing the dream, young lady.